Hopefully everyone is having a pleasing Good Friday – The weather is rather dreary so I am happy to be copped up indoors. Mr C has done a scoot around the shops for last minute Easter Eggs – I normally buy them as soon as they come out in February but time has slipped by this year. We are having a family day on Sunday and have bought the biggest leg of lamb I’ve ever seen – I’m not convinced it was actually a lamb looking at the size of it – Its more like a dinosaur leg! 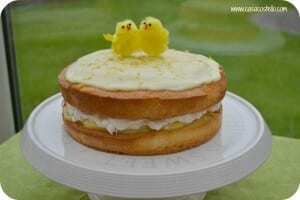 Of course, for any celebration, you must also have cake so I’ve practised our Easter cake for this year. 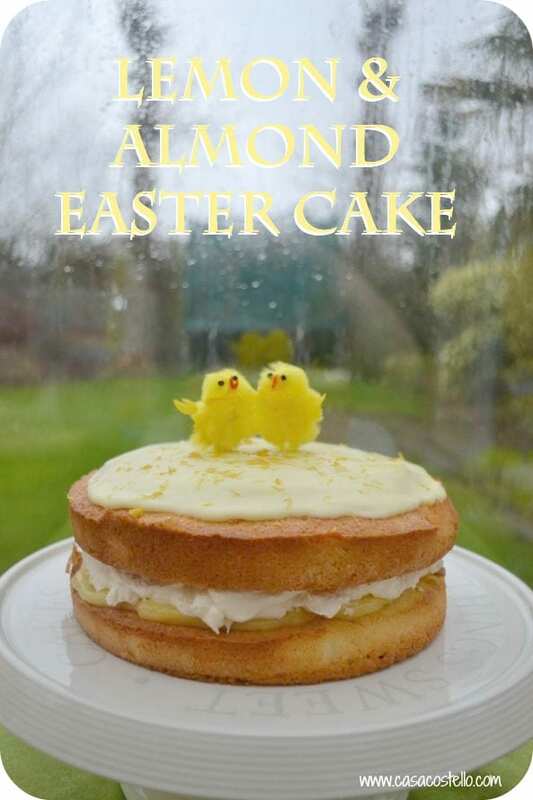 I didn’t want anything stodgy like a Simnel Cake so opted for a light Lemon & Almond Easter Sponge Cake instead. I have made homemade lemon curd this morning and have added lashings of whipped double cream … and a couple of Easter chicks for good measure! I also make sure I wash the hand whisk in between the cooking sessions as by the end your eggs will be cooked but you are using a whisk that has had raw egg on it - I'm paranoid! Place 2 cute little Easter chicks on top and serve. Happy Easter! 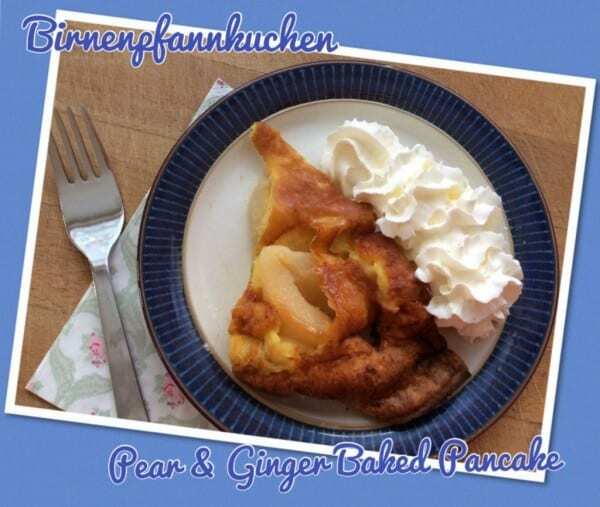 This week’s featured #FoodieFriday entry must win the award for the most unusual name – Birnenpfannkuchen or Ginger Pear & Ginger Pancake courtesy of HodgePodgeDays – Described as a bit like a sweet Toad in the Hole, it would definitely be a winner in this house! 2. I’m loving how Sadhna from Herbs, Spices & Tradition is expanding my knowledge of different cooking techniques – Her Chhole Bhature with puffy Naans looks just up my street. Definitely one to try. 3. You seriously cannot beat an excellent Beef dish and Foodie Quine’s Spring Roast of Scotch Beef looks very tempting. 4. Nina & Co has written a really thought provoking post on whether Pay what you like restaurants are a genius idea or foolhardy? What are your thoughts? I rather like the idea and would love to go to one soon. 7. Foodie Quine has shared with us her Spaghetti Carbonara Frittata which looks so filling and hearty. Fabulous! 8. I agree with Kate from the Gluten Free Alchemist – Her Banoffee Cheesecake with Salted Caramel definitely screams EAT ME! 11. If you are still in need of sweetness for an Easter dessert, why not try Miss Pond’s Vanilla & Chocolate Cheesecake – Simply stunning. 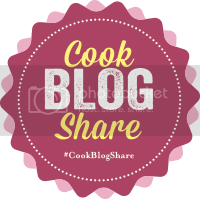 The link is open from now until next Thursday for your foodie posts- I love that we are not only getting recipes but general foodie posts and information too. 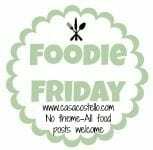 Please add the linky badge to your post to let everyone know that you are part of the Foodie Friday team. I will be emailing the winners of the Featured post each week for them to place a ‘Featured on #FoodieFriday’ badge on their site if they wish. * As usual, feel free to link up to 3 posts (old ones are fine as long as they display the badge. * I will share all posts on Twitter, Pinterest and Google+ aswell as commenting. 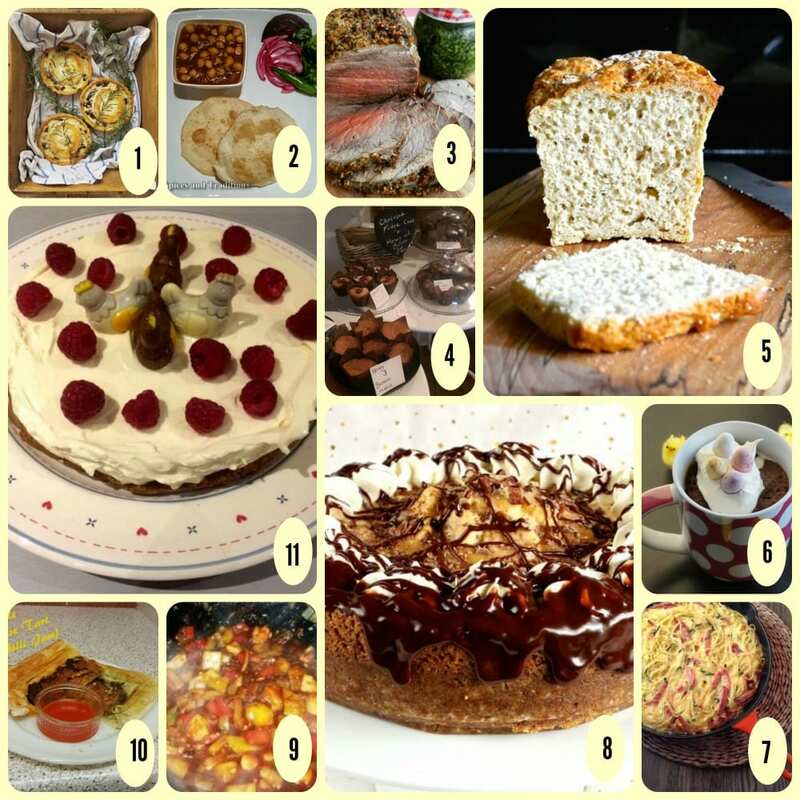 * Try to visit at least one other entry if you have time – Feel free to use #foodiefriday to let them know how you found them. Nice round-up, Thanks very for featuring my post as number 2. This looks delicious Helen! As if there isn’t enough naughty food around that now I want this too! I also now know how to make lemon curd! Woooohooo! I’m a huge fan of using whipped topping as a cake frosting, instead of a heavy buttercream. Your cake looks delicious. Such a pretty looking cake. Perfect for Easter and anything with lemon curd in it is always a winner. Delicious! That cake looks absolutely amazing, I could certainly do with a slice right now! This looks scrummy. Love homemade lemon curd too. Thanks for sharing!